Ease into customers' everyday life when the Glide-rite Opener helps them with their mail and other sealed envelopes. 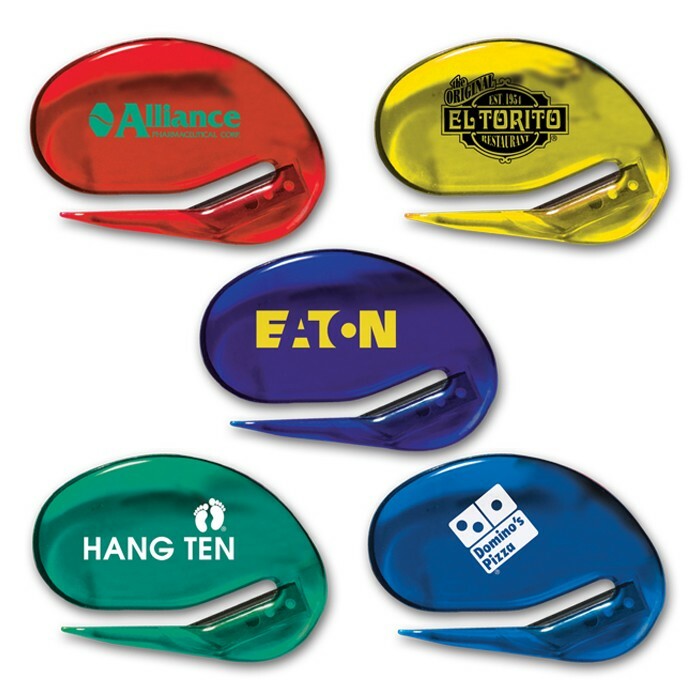 This letter opener is available in several translucent product colors to help you further customize it after adding your company name, logo and advertising message. A cute and fun way to open up letters, it can easily slip into purses, pockets or bags to go between the home and office. It can also be an ever-present reminder on their desks throughout the day. Keep your company in the limelight! Imprint Area	1.817" x 1.174"